Whether you're walking, biking, skating or running there are plenty of reasons to get out and enjoy the best the city has to offer this weekend. The start of a new month brings another round of neighborhood art walks around town, including in the Castro, Lower Polk and Tenderloin and North Beach. North Beach will also host its first annual Spring wine walk on Friday so it's a great time to check out that area of the city. If that's not enough to jump-start your weekend there's also an improv comedy show in SoMa, an emoji-themed bike ride through the FiDi and a free viewing of School of Rock at Pier 39. Don your favorite Hawaiian attire Saturday morning and head to Give Back Kick Back, a volunteer clean-up effort in Lands End that includes music, free yoga, a beer tent and lawn games. There's also a dog festival in the Castro to benefit local elementary schools, a celebration in the Sunset for the centennial anniversary of the Sunset Library, and a film-noir themed charity auction near the Stern Recreation Grove; the Bay Area Derby Girls are also hosting a game in the Palace of Fine Arts. 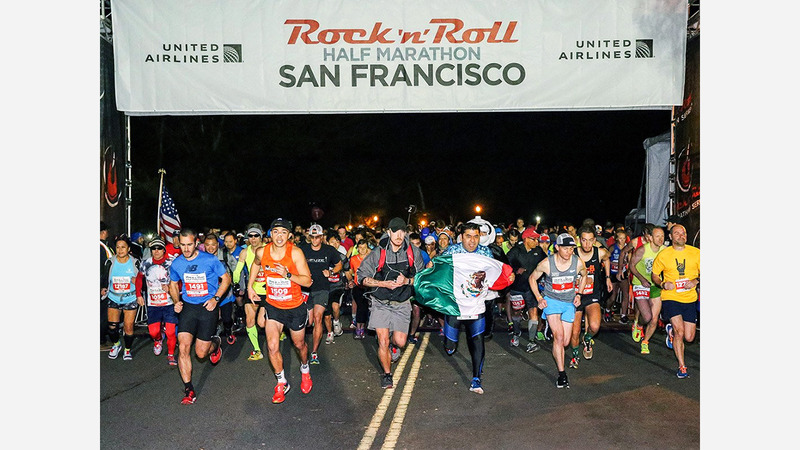 Wrap up your weekend on Sunday by cheering on the runners in the Rock 'n' Roll Half Marathon, pick up those hard-to-find albums at a record swap in NoPa or embrace all things avocado at the second annual Avocado Con in Mission Bay.